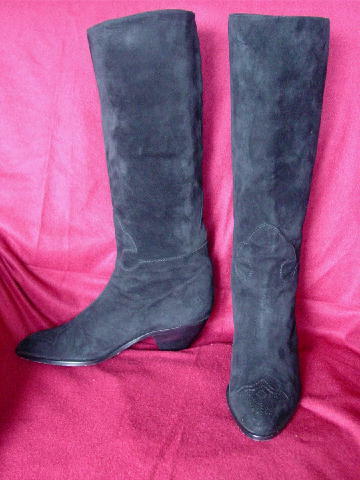 These vintage soft black (we used a flash to lighten the color in the picture to show the detailing) suede (all leather) boots are by Maud Frizon Club and were made in Italy. 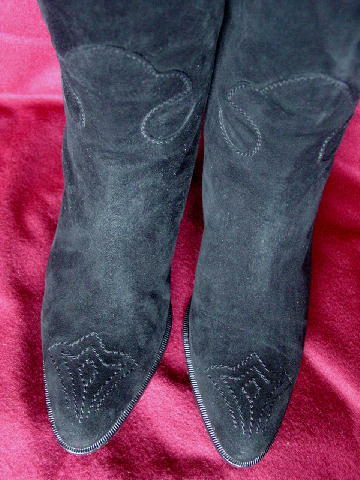 They have a cowboy styling with decorative stitching on the top of the toe area, lower sides, and front area. The black suede continues 4 1/2" downward in the interior with light bone leather lining below it. The boots have some scuff marks and wrinkles on the vamps. They have pointed toes and stacked heels. 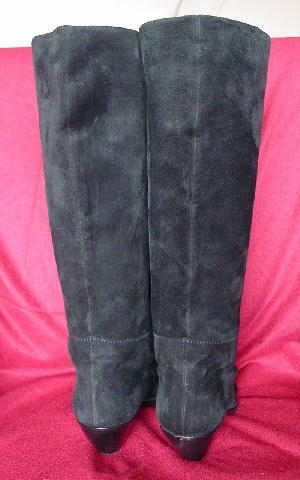 She now wears a size 9.
bottom of heel to top of boot 15 1/2"